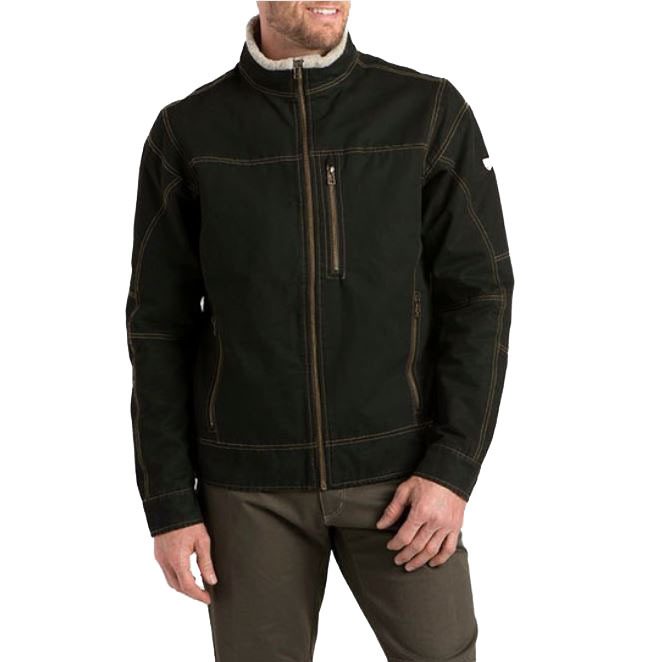 "The KuHL BURR JACKET LINED is a rugged, soft cotton canvas jacket that’s ready for anything in a timeless style and built for ultimate versatility. With generous hand pockets able to hold your gear, saddle stitching to reduce the bulk of the garment, and a zippered chest pocket, this may become an essential favorite for your fishing and hunting trips, camping expeditions, and day hikes. Built to last with quality materials, the fabric is built tough for a long life of hard use and with the highest quality YKK zippers for reliability.